“The only way to elevate ourselves is to love what we do and to help others” is Bongbong Marcos’ business philosophy. It is so true for legitimate entrepreneurs who are into nation-building. They never cease to show their support to the son of the late President Ferdinand Marcos. The former leader recognizes early on the contribution of legitimate Filipino-Chinese economic players. Today, this thriving community locally is already on its 40th Anniversary. Recently, the Communist Party of China seeks to learn the perspectives of the younger Marcos on issues about the economy. 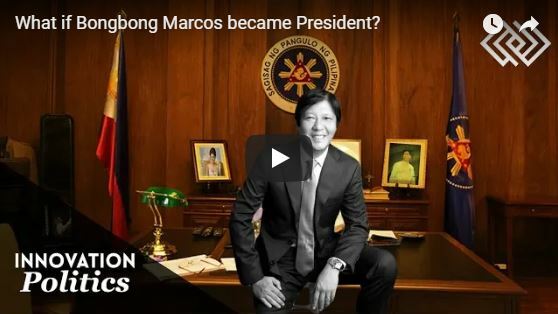 [VIDEO]: Bongbong Marcos comments that he feels no different to the frequency of invitations he receives now as compared to when he was a senator or a governor. In October 2016, President Rodrigo Du30 introduces former Senator Bongbong Marcos to the Filipino community in Beijing, China as the next vice president. That, of course, if he wins his electoral protest against Vice President Leni Robredo. 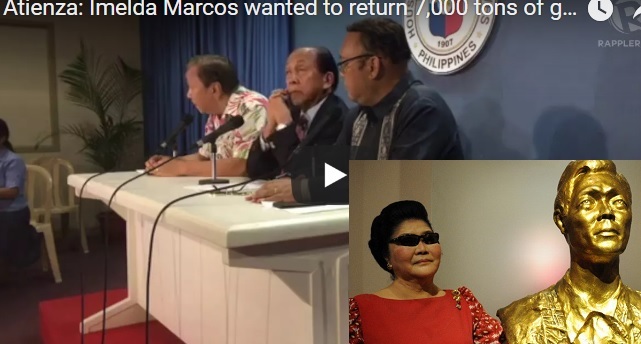 Marcos claims that massive and “blatant” fraud took place during the 2016 elections. It paves the way for the previous administration’s candidate to win the vice-presidential race. The son and namesake of the late President Marcos lost to Robredo by only around 200,000 votes. Experts say that this can easily be proven during the March 19, 2018, recount. Du30 openly expresses his support to Marcos and his family. 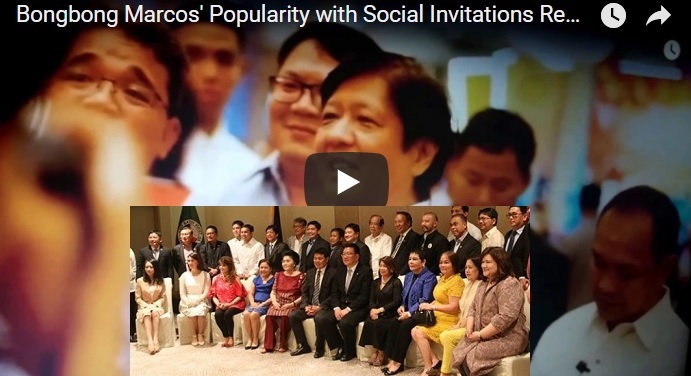 Marcos is happy that his Nacionalista Party once again had dinner with their “friends” from the Communist Party of China (CPC) last February 27. “Last night’s fellowship dinner hosted by the Nationalista Party for the visiting CPC delegation headed by H.E. Guo Yezhou, Vice Minister of the International Department of the CPC Central Committee, was both enjoyable and fruitful, as it further strengthened the friendship between our two countries,” he said. The CPC is interested to learn about his perspectives on issues relating to both countries. Marcos’ mother, Ilocos Norte 2nd District Representative Imelda Marcos, and his sister, Ilocos Norte Governor Imee Marcos, were also present at the dinner. The Chinese people who are abreast of the changing world is again first to detect the big change that is about to happen in the Philippines. No wonder they have become the drivers of the global economy. After all, the ones that excel in the digital age are the ones who are adaptable to change. Buhay Rep. Lito Atienza recounts his rare conversation with the former first lady Imelda Marcos about an infamous treasure. Atienza said that Rep. Marcos once told him about 7,000 tons of gold that can be used for the economy. If these are part of the wealth for humanity that her late husband deposited at the World Bank she, cannot decide on her own on what to do with them. 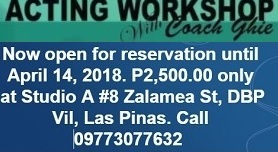 When they were both sponsors in a wedding sometime in the 2000s when he was mayor, Atienza said Marcos told him about the 7,000 tons of gold deposited in different parts of the world so that the country could pay off its foreign debt. This coincides with the World Bank gold reserves of her late husband. They were shipped around the world as sanctioned by the financial entity. Atienza quoted Marcos as saying: “I’ll liberate the nation from foreign debt. 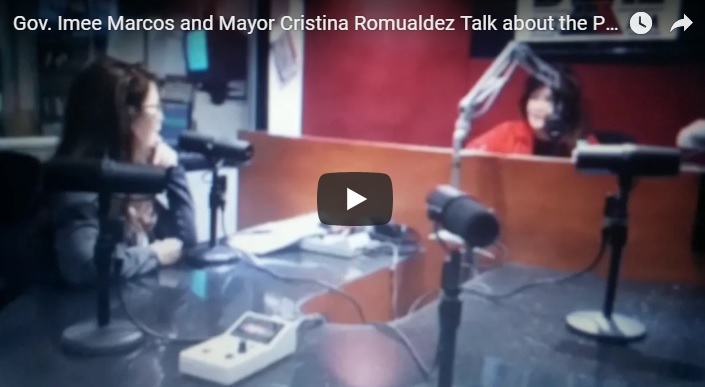 I heard directly from Congresswoman Imelda Marcos when I was a mayor. She said that she wants to hand over the gold to the government here so that the country will be free from its debts,” Atienza said. 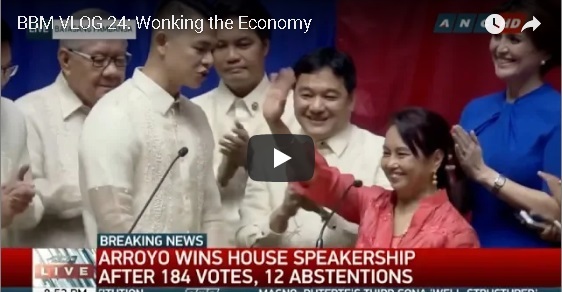 I told her, ‘why don’t you do it?’ She said a superpower was interfering,” Atienza added. He did not name the superpower allegedly blocking the release of the Marcos gold. But America has been known to carry such title. Can this be the reason why the Liberal Party’s supporters are mainly from the US? This incident was disclosed after the President said that a Marcos spokesperson explains the reason that the wealth appeared to be hidden because ex-President Marcos was “protecting the economy.” It is remembered that Marcos negotiated with then President Cory Aquino to let him return from exile to explain about the wealth but she denied him this opportunity. That’s why they are called hidden wealth by his detractors.